Happy Wednesday! 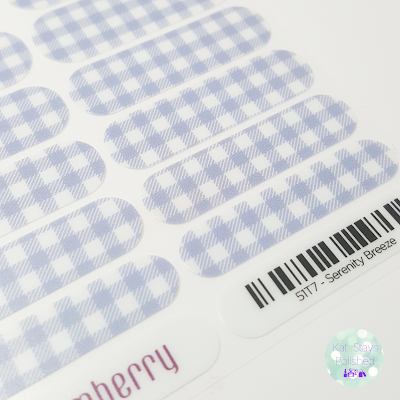 Are you ready for this week's mani? My friend Tabitha suggested I do a Wizard of Oz themed manicure because I said I wanted to use the Serenity Breeze wrap. She said it reminded her of Dorothy's outfit. I had no idea what I was going to do for the rest of my nails, since my accent was going to be the wrap. I had pretty much no time to do this mani but I think this is an easy and simple one that anyone can do in a pinch. This one has a matte finish and the actual wrap is a lot thinner than the glossy finish ones. It makes it a lot easier to apply in my opinion. My favorite ones are the matte and satin finishes. So here is the breakdown of what I used and for what. I used China Glaze Ruby Pumps for my pinky, obviously for her red ruby shoes. 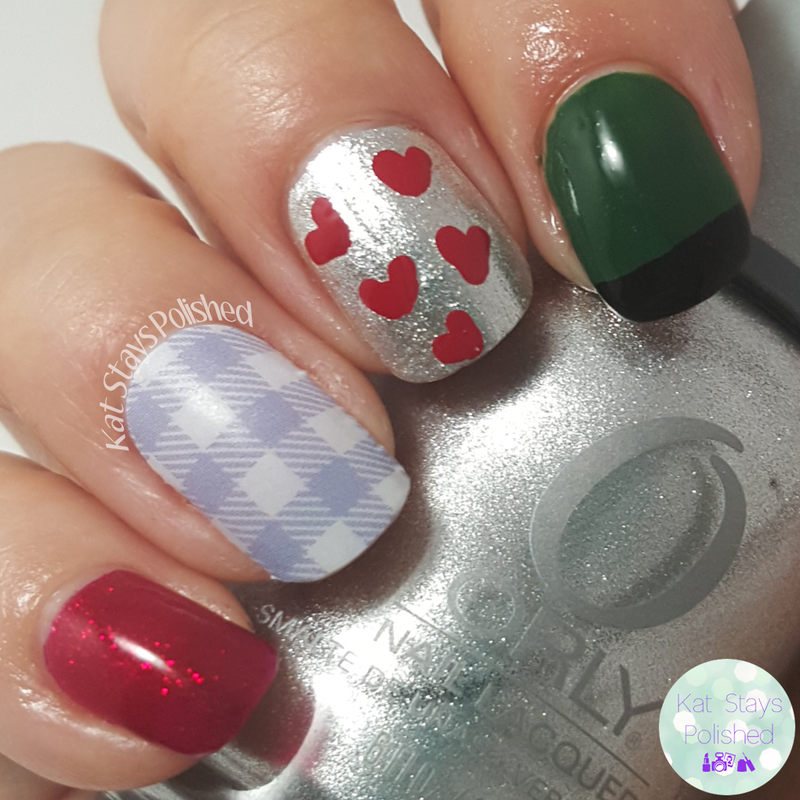 I used Orly Dazzle and JulieG Cherry On Top for the tin man and his heart. I used China Glaze Holly Day and JulieG Black Sheep to represent the wicked witch. 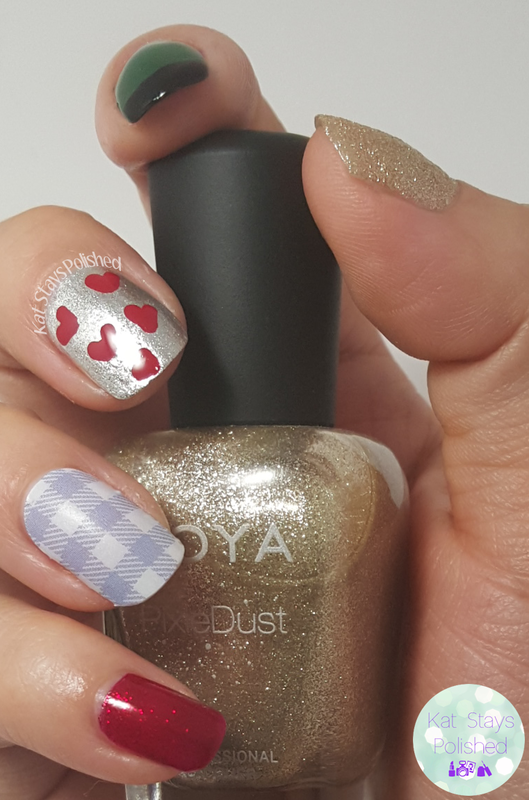 Lastly I used Zoya Tomoko to represent...well, I'm not sure. It could be the good witch, it could be the scarecrow...what do you think? One day I'll be able to apply wraps without ANY bumps at all. Practice makes perfect after all! Feel free to browse all the pictures - I wasn't sure how many I should take or post but I have a few different poses here, lol. Let me know what you think! See all the different things you can do with wraps? I'm going to be trying some more looks with all my different wraps! There are ao many new ones out for Spring so be sure to check out my catalog! Definitely feels like Dorothy's gingham dress! I love the mani you created - reminiscent of details from the movie, without being too obvious - and it doesn't take an art degree to recreate! Thanks Nidia! Some people didn't even guess Wizard of Oz when I showed them in person. What a cute theme idea! I especially love the wraps! 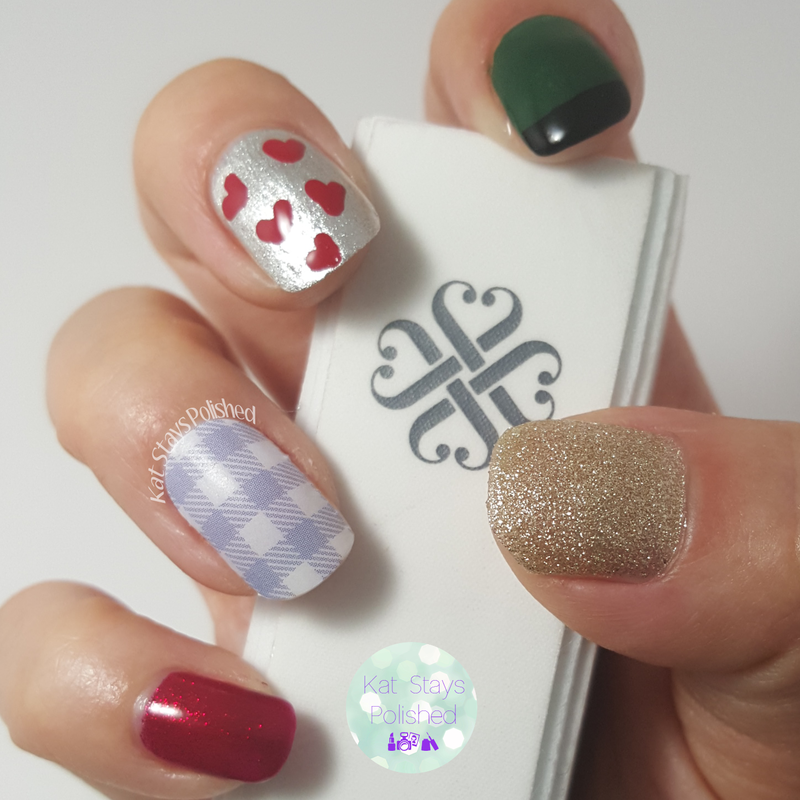 This is a cute mixed manicure! cute! I love manicures with a theme! Thank you!!! I can send you a few to play around with if you'd like!!! Just shoot me an email or PM on FB! Thank you so much! I'm trying to keep up with doing this every week! I'm committed!!! You captured the theme and the key colours in the movie without hours of back-breaking work. This mani definitely made me think of the gingham dress and the ruby slippers. I love how you got all the important elements of the Wizard. I think the sparkly Zoya should represent Toto. I love the combination of prints, they're all different but compliment each other so well! This is such a fun mani! Love it! 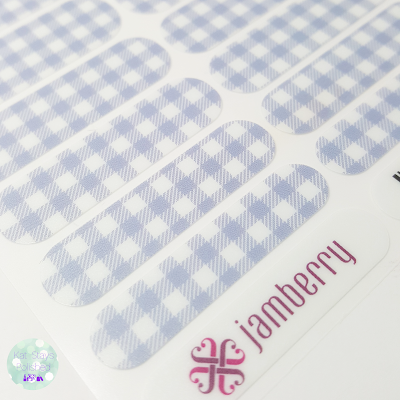 I like the look of the Jamberry.